Susan's Disney Family: Gaiam, environmentally friendly clothing for your Fall/winter wardrobe. 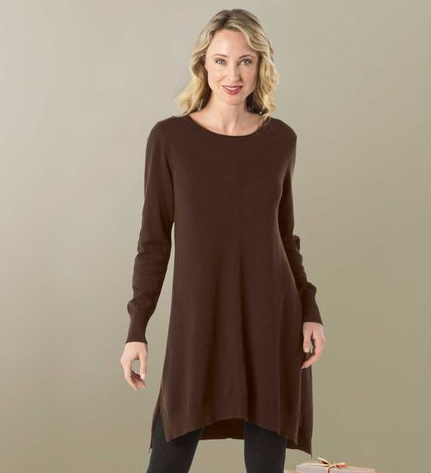 Gaiam, environmentally friendly clothing for your Fall/winter wardrobe. 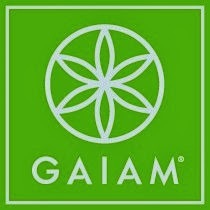 Gaiam was founded to make a difference in the world by educating people about lifestyle choices that affect personal development, wellness and environmental responsibility. We began as a lifestyle media company with a vision that, given a choice, people would choose a lifestyle that is health and life enhancing — for themselves, their families and the Earth. Wrap up in style in our fabulous sweater coat. Ultrasoft and warm, this extra-long, go-to layer features wide pointed lapels and two front pockets. Worn beautifully over almost anything. 70% acrylic, 30% wool. Vietnam. So fall is here, and it is cold enough for you? Here in the northeast it is already pretty chilly. With the colder days here it is time to change my wardrobe to my winter clothing. Are you looking for clothing that will be warm and comfortable this Fall/winter? As a working mother I need a wardrobe that is comfortable and is appropriate for work outside of the home and my work at home. I hate to be uncomfortable in my dressy clothes all day at work, this just leads to coming home being aggravated. So comfortable clothes are a must for me. I was fortunate to be able to review a sweater from Gaiam Fall/Winter collection. I’m an office dweller and with that comes not having any say on how cold or hot my office is, I’m always losing the fight being outnumbered by the “it’s too hot in here” crowd. I’m stuck in a way, it’s always too cold and I don’t adept to the cold all that well but what can I do? My complaints fall on deaf ears, so I have to do things to combat my problem. I received the Slim Sweater Coat from Gaiam and it is perfect for me and my needs! The sweater was packed very well and arrived quickly. I love this sweater for several reasons: 1) It’s a sweater I can wear to work and look professional wearing it, it’s not a sweat jacket that looks bad in an office setting. 2) It’s a great piece to wear on the weekends when we go out, it’s just the perfect complement to an outfit, it looks good with jeans, leggings or even a skirt and it keeps you warm all at the same time. The sweater is so stylish soft and light. On the weekend I just pared the cardigan with a pair of jeans and it looked great. This ivory color just popped and looked so nice. My husband loved the look of the cardigan and how well it paired with the jeans. I’m a sweater fan, I have several but they’re all dark neutral colors, like black and grey, this color is really different and really stylish. It instantly jumped to the top of the pack as the alpha sweater in my collection and now I don’t care how cold they keep the office because I’ll be warm and look good at the same time! The Slim Sweater Coat retails for $98.00 and comes in 5 different colors, Ivory, Paloma Grey, Plum, Black and Chocolate. In sizes Small to Extra-large. So there is a color and a size for everyone’s taste. 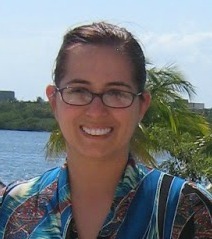 I would recommend Gaiam they have great earth friendly clothing that is comfortable, and stylish clothing you will love! They have a great selection and a wide variety of colors and sizes for just about everyone. So if you are looking for some new items for your winter wardrobe make sure to check out Gaiam. With Gaiam when you make a purchase you do not need to work, because they offer a 100% satisfaction guarantee. They have no-hassle returns and easy exchanges. If you are unhappy with the item for any reason simply, fill out the return form on the back of your order form. You can use your pre-printed SmartLabel to return your package. You can return or exchange, easy as pie! I love that this company really cares about the environment and their customers. Gaiam really wants you to love what you wear, and they want to make sure you really are comfortable and want to purchase from them again. With the holidays coming up quickly (yes it will be here before you know it) A sweater or dress from Gaiam would make a perfect gift. Or are you looking for something else such as home decor, or bath items? Gaiam had a great selection of gifts. Still can't make up your mind? A gift certificate to Gaiam would make a great holiday gift too. To purchase any of the items above and much more please visit Gaiam. They are currently offering free shipping on orders over $75.00 until 10/29 so stock up now. For more information make sure to “like” Gaiam on Facebook. Disclosure: The reviews and or opinions on this blog are my own opinions . I received a sweater to review. No monitory compensation was received. I was not required to write a positive review. Your experience may differ. The opinions I have expressed are my own I am disclosing this in accordance with the Federal Trade Commissions 16 CFR Part 255: Guides Concerning the Use of Endorsement and Testimonials in Advertising . What a gorgeous piece! And so versatile too. That looks SO comfy and cute. I love Fall clothes gonna go check them out! Really cute! We're still over 90 degrees in Florida! Can't wait for it to cool down! I love sweaters like this. They are such a great way to accent so many styles of fashion. Looks great. I always love a cozy and comfy sweater for fall - it would be a great addition to any fall wardrobe!